Polar Monomeric is a versatile monomeric self-adhesive PVC film. 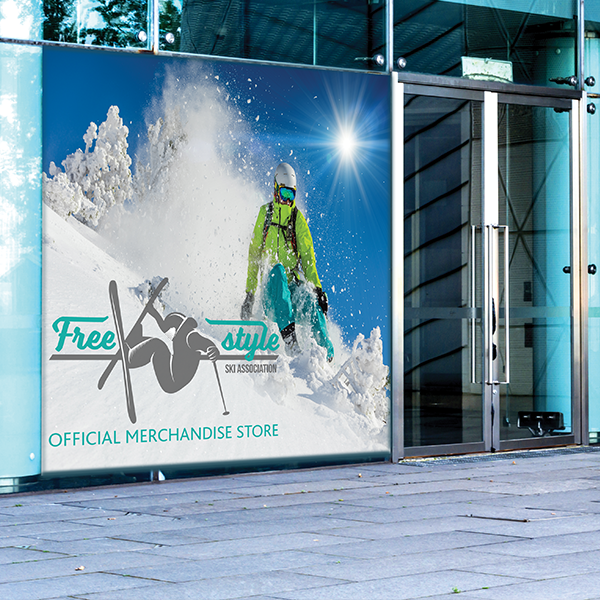 The premium printable vinyl is available in either gloss or matte finish and with either a permanent or repositionable adhesive backing that leaves no residue when removed. 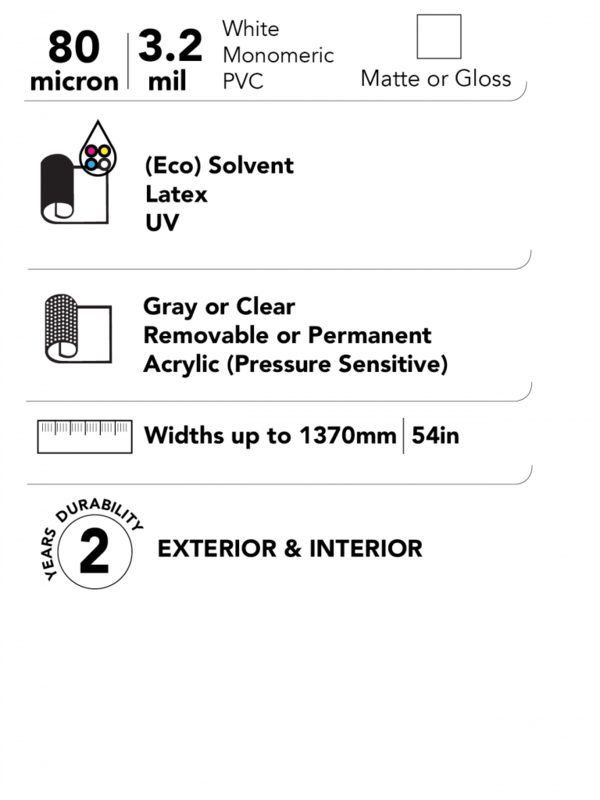 It is designed for a broad range of general signage applications, including posters, retail displays and exhibition graphics. The PVC film is suitable for indoor and outdoor use, with a 2 year outdoor lifespan. The monomeric vinyl is coated on one side with either Drytac’s repositionable or permanent, pressure sensitive grey solvent acrylic adhesive for maximum performance on a wide variety of substrates. The adhesive layer is protected by a white Kraft release paper, which is coated on both sides with Polyethylene. This gives the adhesive layer protection from moisture and allows smooth and easy application of the vinyl. The release side is also siliconised to add grease resistance to the media.